So, now from the lead team’s point of view: after leaving team #frozendiesel behind in the dust and slush of the melting snow, the Defender three (climber, technical assistant and coordinator) make their way up into Lesotho with 3 hours of unforgiving driving ahead. Having crossed the border the night before they had camped out a stones throw from the Lesotho border post. 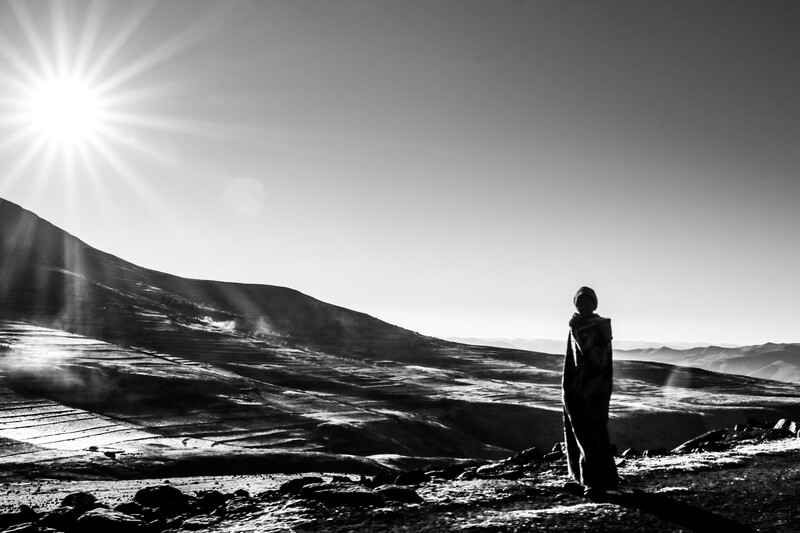 The Lesotho highland plains and valleys that meet you after rising to Sani top are exquisite! The first high plain is surprisingly flat & split by a first-world, pothole-free road built by the Chinese. Radiating out from this road in stark contrast is a network of failing gravel ‘roads’ that venture between the towering peaks. The defender soon left the alien tar installation and was put to a true 4×4 test along a rocky and slippery ravined track. Those of you who have traversed the escarpment into Lesotho you will undoubtedly remember this spectacular landscape. Millions of years of geologic weathering and erosion have created a landscape almost indescribable. One feels it that can only truly be comprehended and appreciated by returning to spend a lifetime of hours walking and scaling the formations. Arriving at the first nest site, the team began to set up. Guided by the co-ordinator our experienced climber anchors his ropes directly above the nest, and when secure, abseils down to the sticky structure. Looking over the edge the height is incomprehensible; the sheep and goats at the river below seem mere specks and one cannot even make out any human shapes guiding or guarding them. The first nest harvest is a success! Two healthy looking eggs are present and following instruction, the climber removes the smaller of the two. The size is determined after tenderly comparing them with calipers and a scale. The larger egg will remain to hatch and be raised by the parents as an ‘only child’ in normal Bearded Vulture fashion. The second nest, however, provided the team with a challenging decision. After another 2 hour drive from the first nest, an identical procedure was followed during the decent. When the climber reached the nest however, the radio crackled to life and he informed the co-ordinator that the nest only contained one egg! This is not a completely unusual find as this nest yielded the same result the year before. Nonetheless, a massively infuriating find for our team who need to collect 20 to 30 unrelated eggs to hatch into chicks to form a healthy genetic reserve captive population.